This absolute is of Chinese origin and is produced by solvent extraction of the fragrant flowers. The colour is golden yellow and it takes approximately 3000 kilos of flowers to produce just one kilo of this osmanthus absolute. We now also offer osmanthus concrete. It’s really incredible. So tough, deep, with a true floral flavor. 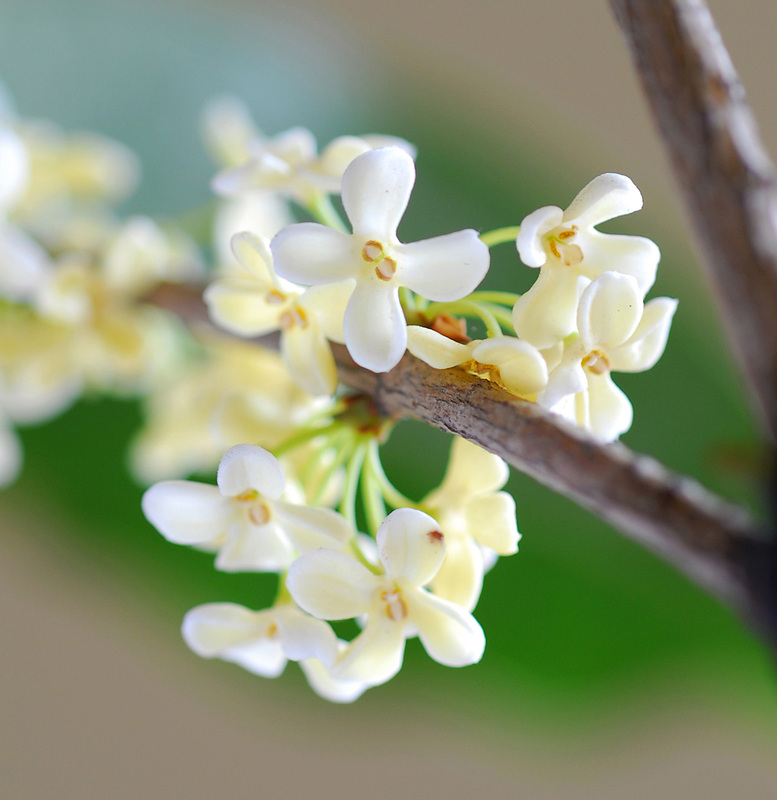 It is completely different from the other Osmanthus, which have different consistency and smell. It’s really an experience for me to work with. It is beautiful with other flowers, citrus and balsamic oils. Favourite!